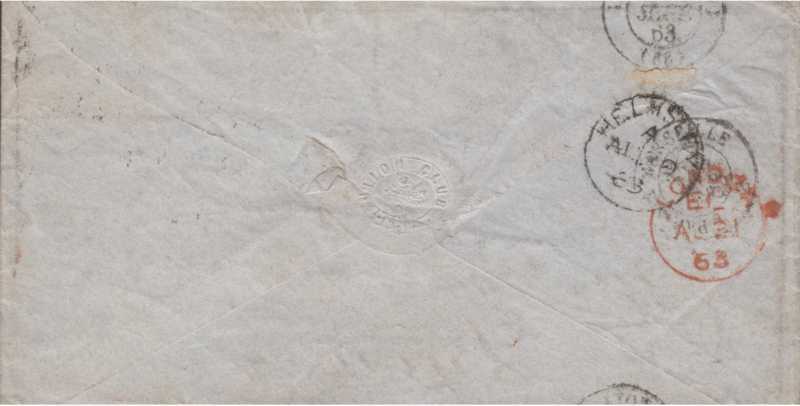 I have a cover with markings that the references I have, mostly British, do show as receiver marks for France. I am including a picture of the front of the cover. 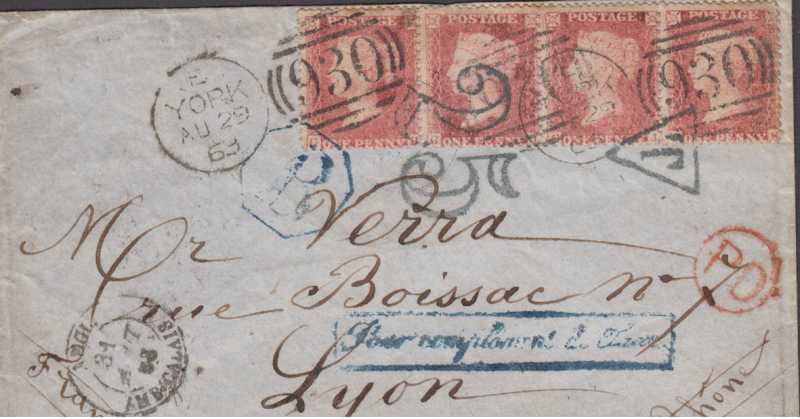 In the back are receiving handstamps for Lyon and Marseilles. Any help as to the markings and why Marseilles is a receiver mark ( port of entry???) would be greatly appreciated. This looks rather odd and I wonder if some of the marks belong. It has gone through Calais as one would expect. There is a TPO entry mark on the front. The tax mark double lined 25 and the T in a triangle do not really make any sense. Chris is quite right. There is a lot that does not make sense here.